In science we try not to hero-worship, but in a field where credit is currency, and careers are built upon reputation, sometimes scientific rockstars emerge. The ideas and impact of these few resonate outside academia and make them household names. Physics has Isaac Newton and Albert Einstein, and Chemistry Marie Curie and Louis Pasteur. While many biologists can same the same level of recognition, by far our most celebrated standard-bearer is Charles Robert Darwin. Find out more about our contributing PhD students below. 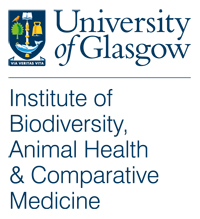 We also share the Institute’s annual Darwin Lecture, which took place on Wed 10th Feb. This year the lecture was hosted by the Institute PhD students and delivered by guest speaker Prof. David Reznick, University of California, Riverside. Prof. Reznick is a highly engaging speaker, and offers a lucid and elegant overview of Darwin’s career, how Darwin got the right answer, and the continued evolution of evolution. Enjoy! Laura Allen (@laurajallen) is a tropical biologist who looks at patterns of modification across a human-modified landscape, and specifically, ways to quantify biodiversity. She is also the Ecosystem Coordinator for the Crees Foundation and splits her time between Glasgow and the Peruvian Amazon. Watch a video of Laura discussing her work at Crees: Taking care of business. Arne Jacobs (@arnejacobs90) is a fish biologist who uses genetic techniques to investigate the morphology, ecology and behaviour of two species of salmonid. In this, he is trying to understand how they evolved into different forms—why do they look different despite living in the same lake, and why do they eat different things? Claire Harris (@ClaireHarris93) is interested in conservation biology and epidemiology, and is investigating ways to measure and model biodiversity. Claire is a regular writer for the GIST magazine, and has the claim to fame that she was also born in the same town as Darwin—Shrewsbury, Shropshire. Hans Recknagel is an evolutionary biologist whose research focuses on the evolution of complex traits, such as the two modes of reproduction—live-bearing and egg-laying. Hans uses fantastically interesting common lizard species that exhibits both egg laying and live-bearing traits across the species—and yes, there are hybrid forms! He is using this model to try and identify the changes in the genome necessary for such a radical change in life history. Juli Nati (@nati_julie) researches fish physiology and behaviour, and investigates native and invasive freshwater species. Her research focusses on the physiological basis of why invasive species out-compete native species. A topic touched upon in Prof. Reznick’s lecture above. James Burgon (@JamesBurgon) is an evolutionary biologist and taxonomist whose research centres around speciation, the generation and maintenance of diversity, taxonomy and phylogenetics—and if you’re not clear what this means, listen to our podcast and lecture above(!) James’s particular focus is on how the salamander got its spots—the genetics of colour, shape and local adaptation in European fire salamanders (Salamandra spp.). So tell us, what does Darwin mean to you? Reading: final paragraph of ‘On the Origin of Species’, by Charles Darwin, M.A.